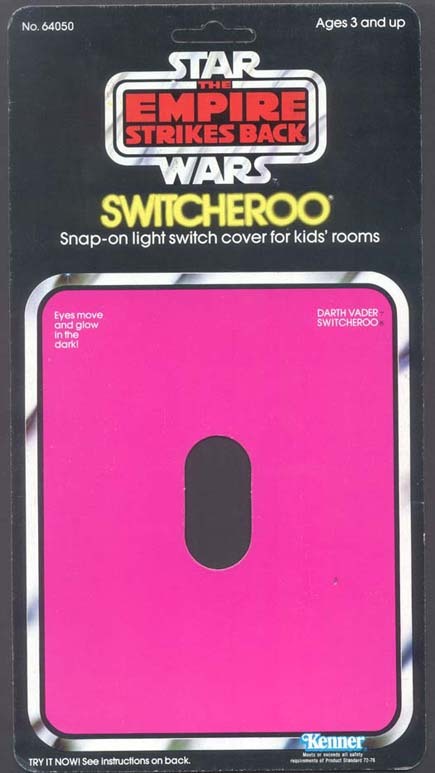 The packaging prototype shown above is a proof card for the Empire Strikes Back Darth Vader switcheroo. As a kid, I felt this switcheroo was one of the greatest things since sliced bread. Vader's ominous image adorned the main light switch to my childhood playroom for many, many years. It's pretty neat to see a proof card for its packaging.